Identification: Blue-green to brown-green, checkered fringes. Two wavy white lines dorsally through both wings. 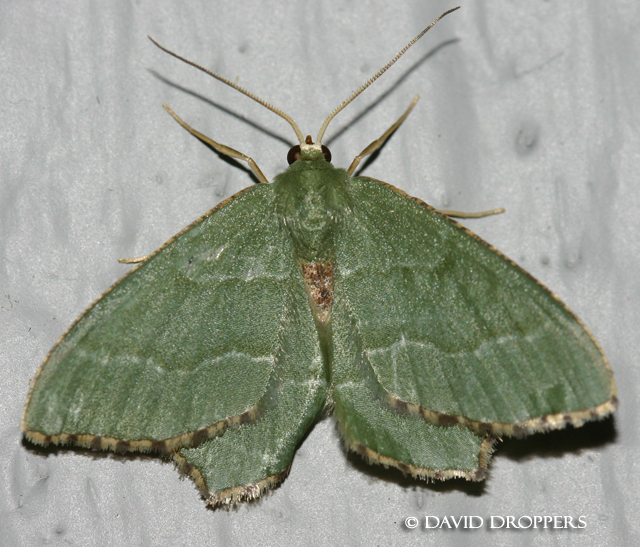 Underside is a pale green/whitish. Flight: Late spring through mid summer. Range: Widespread through northern Eurasia. In North America, found in Pacific Northwest. Conservation: Introduced in North America.